Vincenzo Nibali (Astana) consolidated his lead at the Giro d’Italia with victory in stage 18’s mountain time trial. In the process, the Sicilian put a huge two minutes and 36 seconds into closest rival Cadel Evans (BMC), and now holds a lead of four minutes and two seconds over him in the General Classification. The stage win, Nibali’s first this Giro, confirms him as comfortably the strongest rider of the race, and it will take a dramatic last few days for anyone to take the pink jersey from him now. The battle for the podium looks set for a more exciting finale, with Rigoberto Uran (Sky), who finished sixth today, in third at four minutes 12 seconds down, and Michele Scarponi (Lampre), who finished fourth, within touching distance at five minutes 14 seconds. Another exciting battle is that in the young riders classification. It has been nip and tuck for a while now between Rafal Majka (Saxo-Tinkoff) and Carlos Betancur (Ag2r), and both put in very impressive times today, with Majka fifth and Betancur seventh. The seven seconds gained by Majka is enough to see him usurp the white jersey, and the Pole also moves to sixth overall on the GC. Second place on the day at nearly a minute down was Samuel Sanchez (Euskaltel), who looked for a while as though he may take the stage win, but once Nibali’s time checks started to come through it was clear whose hands the win was in. Sanchez does, however, move into the top 10, and may yet improve his position further with his form evidently improving. Ahead on the stage before him was Damiano Caruso (Cannondale), who had looked to take a much-needed first stage of the Giro for his team, however was pushed down into third. Stage eight time trial winner Alex Dowsett (Movistar) suffered a mechanical issue with his time trial bike shortly after his start, and was forced to swap to a road machine, losing valuable time and momentum. The Briton eventually finished in 90th place, 5-27 down on Nibali. 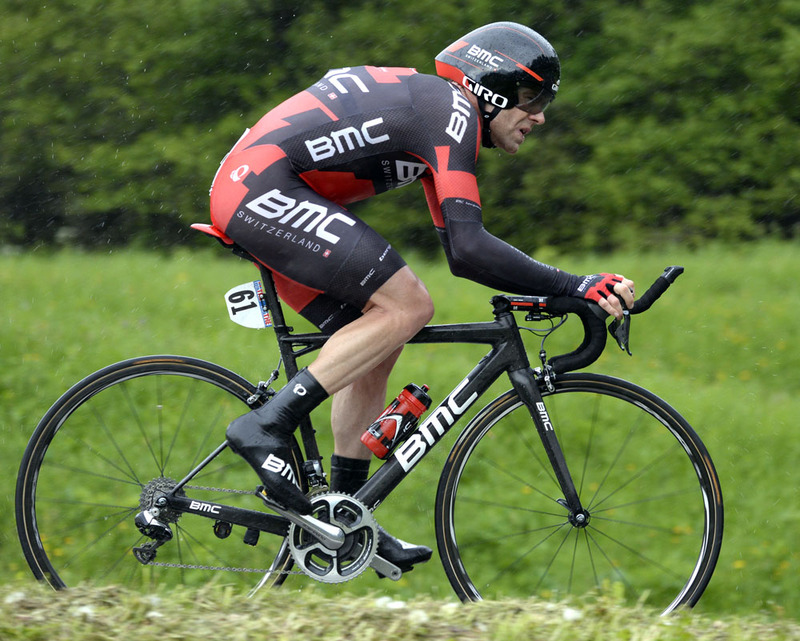 Fellow British rider Steve Cummings (BMC) put down an early fast time, and came 26th on the stage, just one place and three seconds behind team-mate Evans. Tomorrow sees another potentially decisive stage in the mountains. Hopefully we will see some aggressive racing, and a route not heavily revised by the weather conditions.